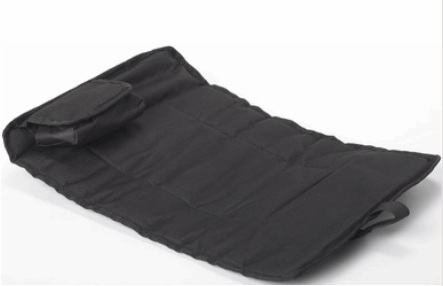 The Rechargeable Heated Stadium Seat Pad a must-have for any sporting event, camping, fishing, hunting, or anywhere extra warmth and cushion is welcomed. Keep one in your car at all times without adding extra bulk. Easily can be packed in your camping gear. Makes a great gift! Made for portability, the Heated Stadium Seat Pad measures 11x14 inches and weighs less than half a pound. Rolls up easily into its included travel pouch. Heavy duty canvas will not rip. With three temperature settings (120� F, 110� F, 100� F), charge up your unit and stay warm from 1 - 4.5 hours depending on selected temperature setting.